Comitz Law Firm, LLC, is a full-service law firm serving clients throughout the Commonwealth of Pennsylvania—with particular emphasis on the greater Wilkes-Barre/Scranton area, State College, Pottsville, Allentown, Harrisburg, and Philadelphia. At Comitz Law Firm, LLC, we understand how overwhelming the legal process can be, and we know that finding the lawyer best suited to the needs of your case is often a daunting task. We also recognize the impact an unresolved legal matter can have on your life. It can keep you out of work, prevent you from supporting your family, and limit your ability to take part in the things you enjoy. Wilkes-Barre Attorney Jonathan S. Comitz is an experienced lawyer with the knowledge and skills to help guide you through the process of navigating a legal problem or lawsuit. He is compassionate and dedicated, and will advocate tirelessly on your behalf to ensure that your case is handled in a timely manner and results in the best possible outcome. 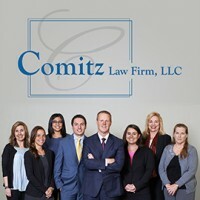 Whether you’ve been injured in a car accident, have a business dispute, or have a family law issue, the attorneys at Comitz Law Firm will get you the results you deserve. Our firm advocates regularly on behalf of victims who sustain personal injuries due to auto accidents, slip and fall accidents, drunk driving accidents, medical malpractice, defective products, natural gas drilling accidents, and more. We also represent clients in all types of workers’ compensation cases, commercial and business litigation, real estate disputes, and divorce/custody matters, as well as clergy sexual abuse lawsuits. Attorney Comitz has represented individuals, corporations, and governmental entities in state and federal courts, before administrative agencies, and through all levels of the appellate system. At Comitz Law Firm, LLC, we take pride in the relationships we have built with our clients and the surrounding communities. We know how frustrating it is when a phone call to your legal team goes unreturned, and we pride ourselves on responding to all phone calls as promptly as possible. 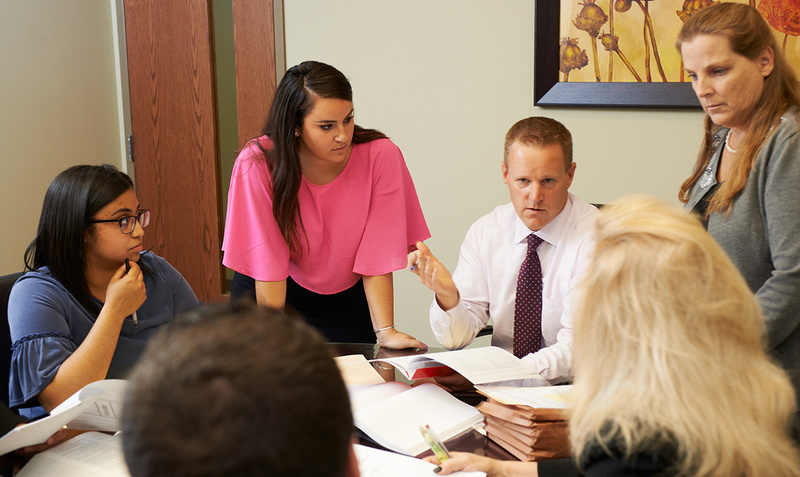 In contrast to the experience you may have with a larger firm, Attorney Comitz makes it a point to personally handle your case from start to finish. He will ensure that your case is given the attention it deserves, and will work with his staff to see that it is resolved in a timely manner with the best possible outcome. Attorney Comitz is supported by the highest caliber of legal assistants, including Attorney Jeremy Weinstock, Lynn Litz, Donna Motovidlak, Kariana Goicoechea, and Jennifer Kindler, and is further supported by various investigators, research assistants, and an experienced team of experts to help navigate whatever type of case you may have. Our legal team is dedicated to providing quality legal representation, but our #1 priority is making sure our clients’ needs are met. We will take as much time as necessary to review and explain your options and make sure that your questions and concerns are addressed, because we take pride in treating our clients the way we ourselves would like to be treated. At Comitz Law Firm, LLC, we are committed to securing and defending your rights as aggressively as it takes to ensure that you receive the resolution and compensation you deserve. Contact us today for a free consultation, and let us put our legal expertise to work toward maximizing your recovery.